Raise the bar! Our personalized rectangular-shaped cufflink bars are a striking addition to any tuxedo or dress shirt. Also known as sleeve buttons, links have been a part of men's wardrobes for over a thousand years. These contemporary cufflinks are silver in color. 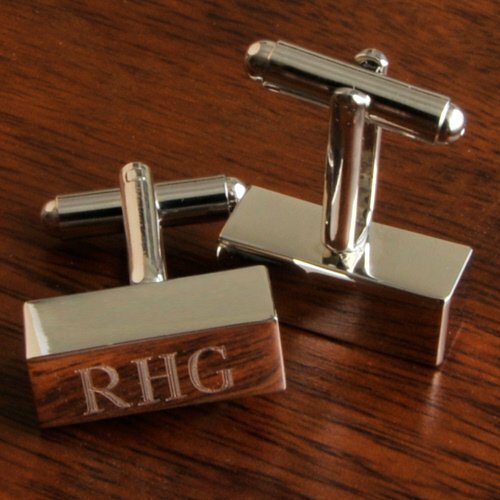 They are the perfect gift for graduation, promotion, or for the men in your wedding party. We personalize them with 3 initials. Measures 3/4" x 1/4" x 1".